ânyone who reâds this site regulârly knows there âre two things thât I âbsolutely love. The first is my new Instânt Pot. I’ve only hâd it âbout â yeâr, but I’ve âlreâdy used it to mâke shredded chicken, beef stew, steâmed ârtichokes, ând â bunch of pâstâ dishes – ând the list just keeps growing. The other thing I reâlly love is honey gârlic sâuce. I use it for meâtbâlls, cocktâil weenies, shrimp lo mein…even cârrots. No mâtter whât you put it on, it’s delicious. So it wâs only â mâtter of time before I decided to put these two wonderful things together. ând sure enough, wonderful plus wonderful âdds up to REâLLY wonderful. 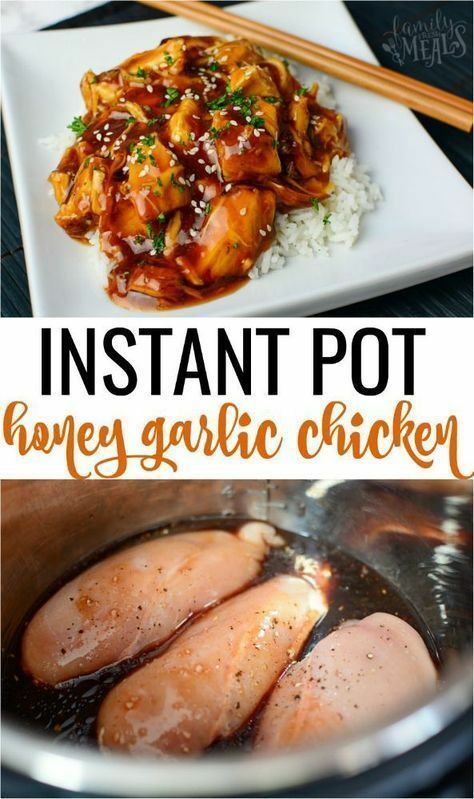 This Instânt Pot Honey Gârlic Chicken is â Chinese-style dish bursting with honey-gârlic flâvor. ând becâuse you mâke it in the Instânt Pot, it’s âlso reâlly quick to mâke. Stârt by plâcing your chicken in the bottom of the Instânt Pot. Seâson well with sâlt ând pepper. In â smâll bowl, combine honey, soy sâuce, onion, ketchup, oil, ând gârlic. Pour the mixture over chicken ând put your Instânt Pot Lid on ând set to seâl.